Well, Callum definitely won’t be going home this weekend. He has had a few setbacks so I’m trying to readjust my timeline and my expectations on when we can bring home our baby. His hematocrit dropped to 25, which isn’t too bad (they usually transfuse between 22-24) but he wasn’t feeding well, he was having some oxygen desats and his retic was still super low (meaning he isn’t making his own blood yet) so they decided to go ahead and do the blood transfusion. They put an IV in his foot which made me so sad because it looked really painful. 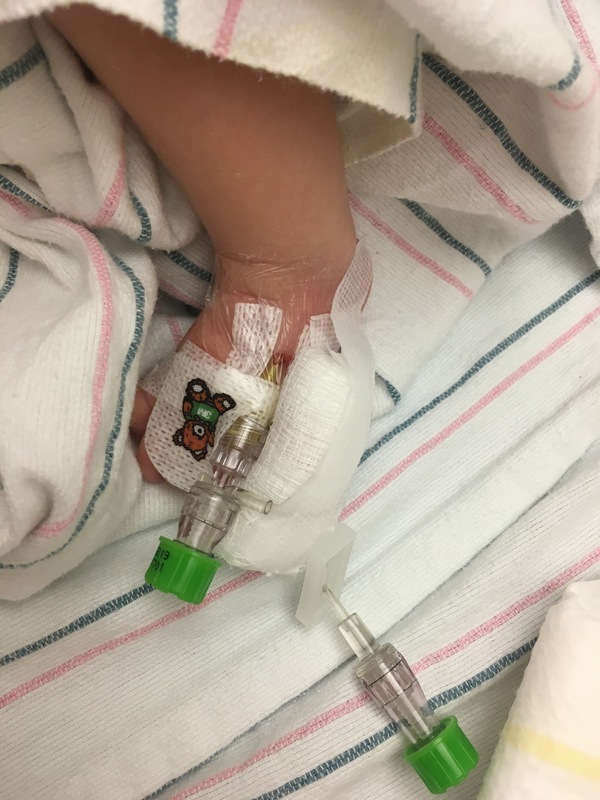 Since it took a while for the blood to be available I went back to the RMH to sleep and when I came back in the morning he had an IV in his hand because the foot IV didn’t work. He had just finished having his blood transfusion when I got there and his skin looked so pink and healthy. He was awake and hungry so I breastfed him and he took a whole feeding without falling asleep, which is awesome! A few minutes later I heard him filling up his diaper so I decided to change him. When I opened up his diaper there was quite a bit of blood mixed in with the poop. 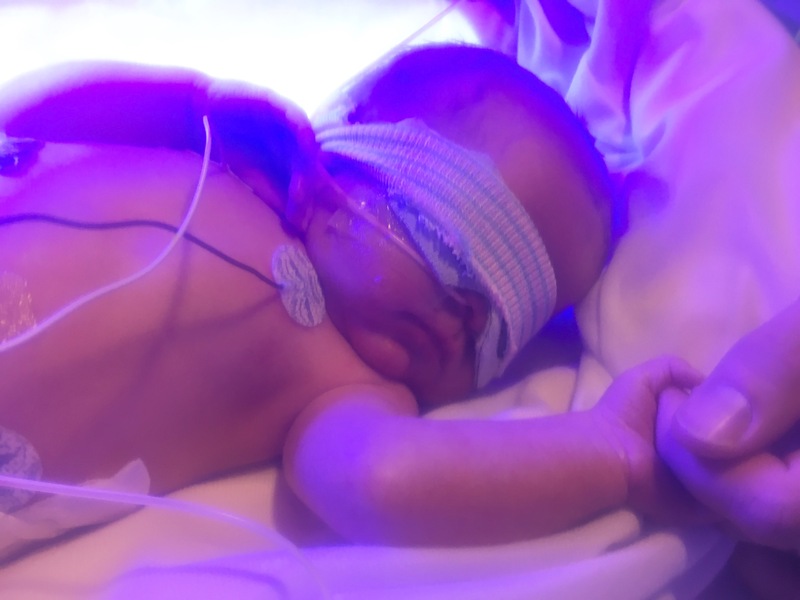 The doctor came to look at it and she said he could either have a dairy allergy or he could have something called Transfusion Related Gut Injury (TRAGI) which can sometimes happen in micro-preemies who have blood transfusions. He’s definitely not a micro-preemie so we are hoping it is just a dairy allergy. The timing, though, suggests that it might have something to do with the blood transfusion. The doctor is x-raying his abdomen right now to try to get answers and I’m cutting all dairy out of my diet just in case. They are putting him on gut rest until they can figure out what is going on. Callum’s ferritin (iron) levels are really high on top of all of this. Before the blood transfusion his ferritin level was 1,216 and the normal range is 25-250. Since he was given adult donor blood which has high levels of iron in it, his levels are probably much higher now. They are running liver function tests to see if his liver is being affected by all of this extra iron in his body. It is hard not knowing how much longer we have to live here in Atlanta separated from our family and our normal life and our sweet baby Callum. And can I just say how absolutely unnatural and weird it is to have a NICU baby in the first place? It’s unnatural to give birth and then never touch or hold or even see the baby for hours after that. It feels wrong for my baby to go through painful procedures without me there with him to comfort him. I show up and he’s suddenly got an IV or he’s had a vaccination, etc. and I wasn’t there to hold him when he cried. It’s completely unnatural to ask a stranger if I can please hold my baby or change his diaper or feed him. I’m his mother. I should be the one giving permission to others if they want to handle my baby. Nora still hasn’t even met Callum and Josh has seen him for maybe a couple hours in the past two weeks. All of this feels off but thank goodness it is temporary. 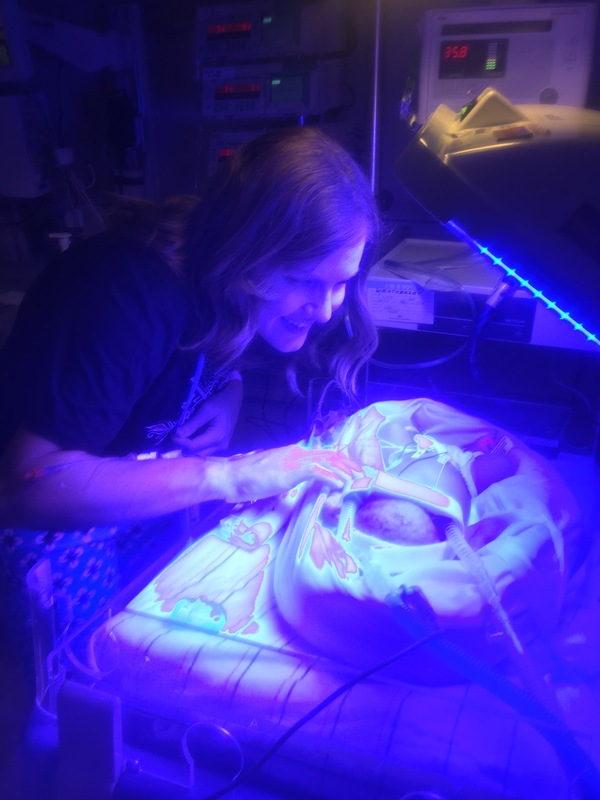 Part of me feels incredibly privileged to even have a baby in the NICU. The one and only dream I ever had of Lucy after she died was of her in the NICU. I was going to visit her and I walked into the hospital, up the elevator to the next floor and down a long hallway to my baby Lucy’s crib. She was so sweet with chubby cheeks and brown hair and oh, I loved her so much. I was so happy to be with her in that sunny little room. Then I woke up to my nightmare…swollen, milk filled breasts and empty arms and a permanently mutilated heart. I was gutted. I begged God not to ever, ever let me dream about her again because I couldn’t stand waking up to my life. I will just wait until heaven. Thankfully He heard my pleas and hasn’t ever given me a dream about Lucy again. It would be too painful. But after I had that dream I struggled any time I heard a NICU mom complain about her living baby who was still in the NICU. I envied her. 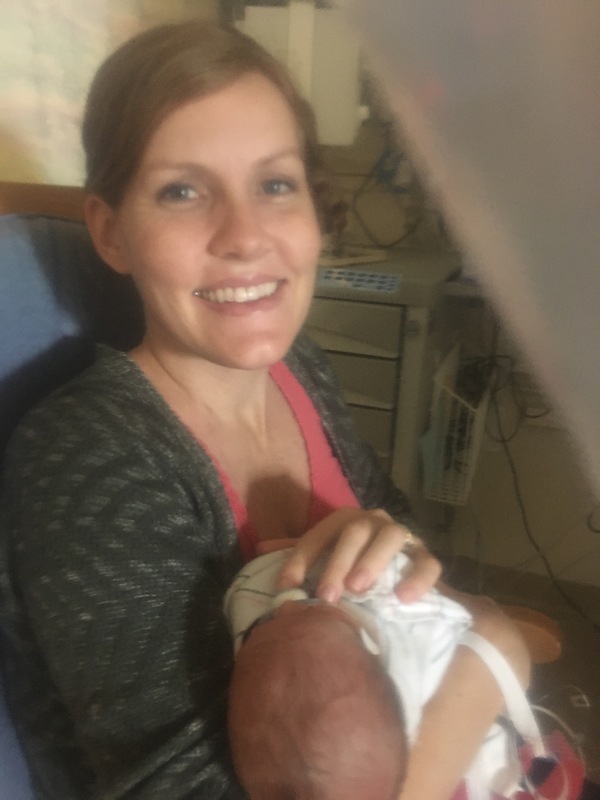 Now I get to be one of those moms with a living baby in the NICU and I am so, so grateful (and yes, I still complain about the hard stuff.) Even though it is inconvenient, it is stressful, it is exhausting and it feels unnatural, I know we are very blessed to be in this situation. Do you know what is truly unnatural? A mama saying goodbye to her baby for good. A mama living the rest of her life without her child. So, yes, it is hard and we are exhausted but we are so thankful. Please continue to pray for our baby Callum to get over whatever is hurting his belly, to get better at his feedings and for his blood levels to normalize. We appreciate all of you so much! 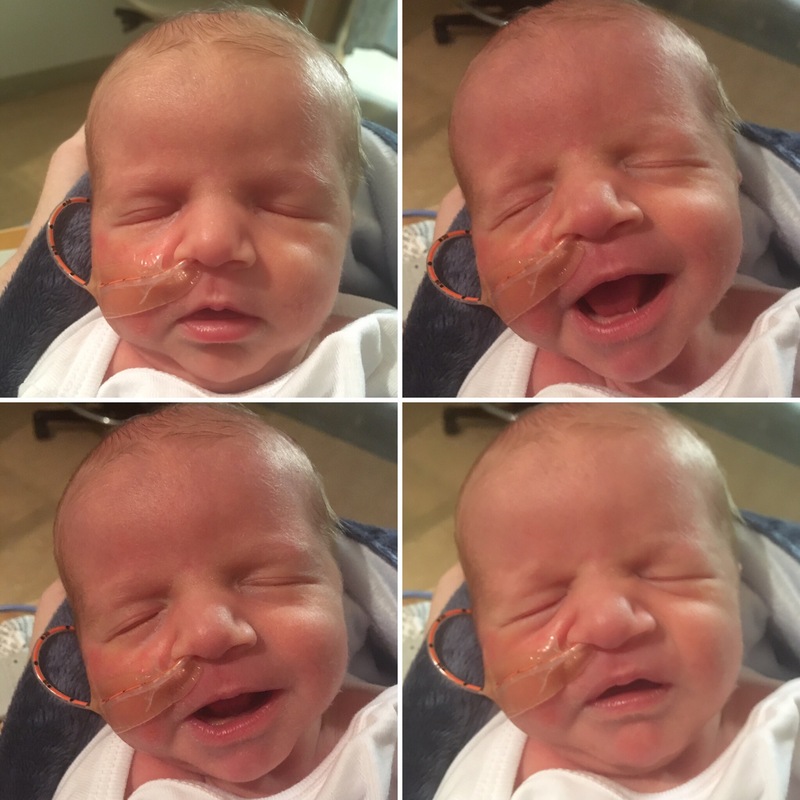 Today our baby Callum is two weeks old and he is doing well in the NICU here in Atlanta. My mom and Nora and I have been staying at the Ronald McDonald House half a mile from the hospital and they have been amazing. I really don’t know what we would do without the RMH. 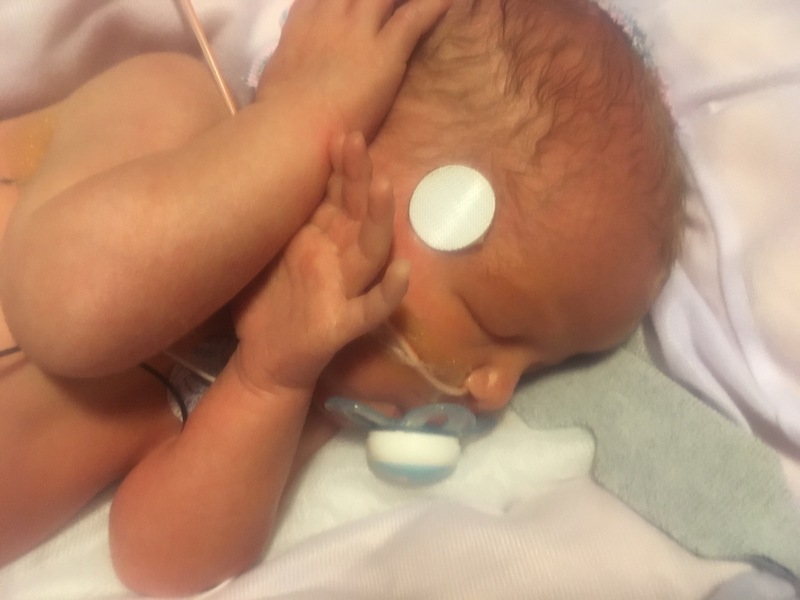 Callum lost some weight after he was born but has now surpassed his birth weight. 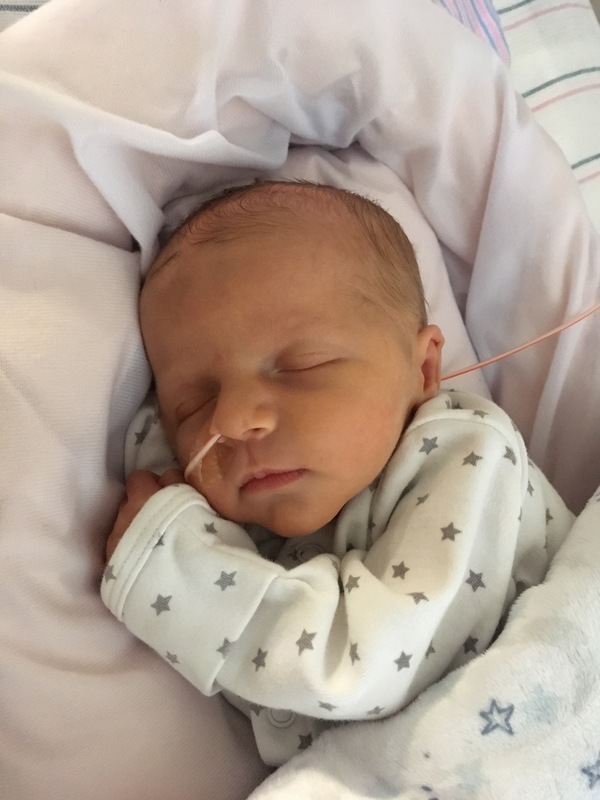 He is really good at breastfeeding and taking a bottle but he often falls asleep before the feeding is finished so he still depends on his feeding tube some for nutrition. 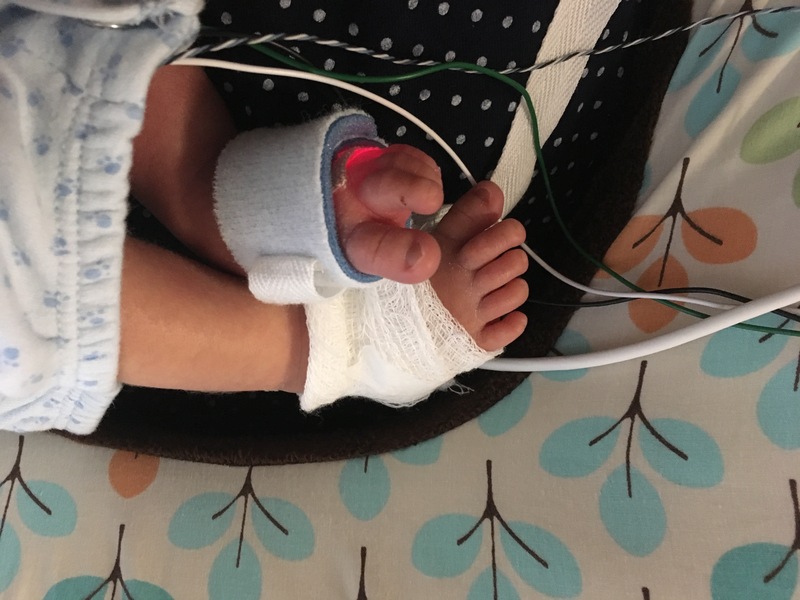 Callum’s bilirubin hasn’t been checked in a week and his hematocrit was last checked a couple days ago so I have been pushing for them to recheck those levels soon. 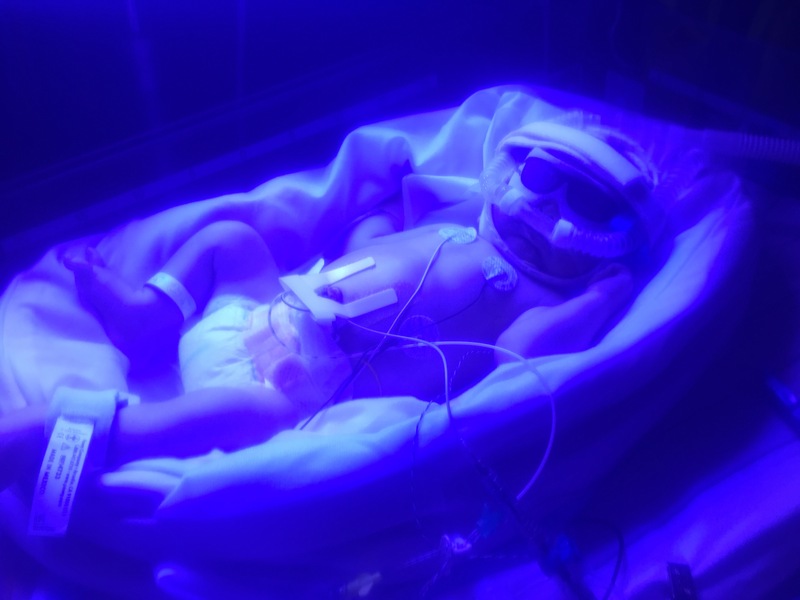 A few of his doctors and nurses have been very nonchalant about his HDN (hemolytic disease of the newborn.) 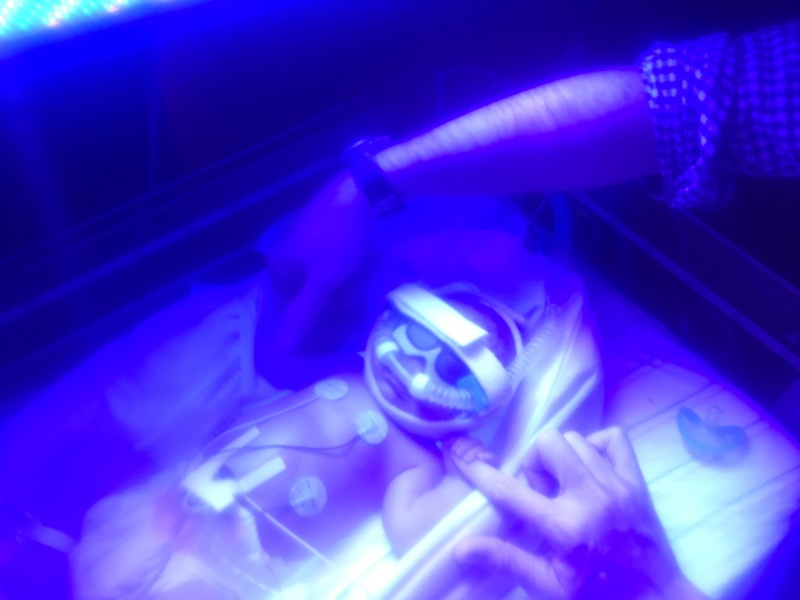 Occasionally I have to remind them that this isn’t typical preemie jaundice or normal iron deficiency anemia. It can be a very sneaky and dangerous disorder if not followed closely. I know babies who have died from HDN and many others who have permanent brain damage because their HDN was not treated appropriately after birth. Anyway, I’m hoping that the doctor will recheck Callum’s bilirubin tomorrow and his hematocrit soon. I really wanted them checked today but the doctor didn’t want to for some reason. The doctor feels pretty sure that Callum won’t need another blood transfusion but I think he will need one by the end of the week and probably at least one more in a few weeks. His retic is still basically 0 (I think it was 0.1 the last time they checked) and his hematocrit was 26 a couple days ago. They said they would transfuse when his levels got to 22-24 and since his retic shows us that he isn’t making his own red blood cells yet, we can be fairly certain that he will need a transfusion soon. 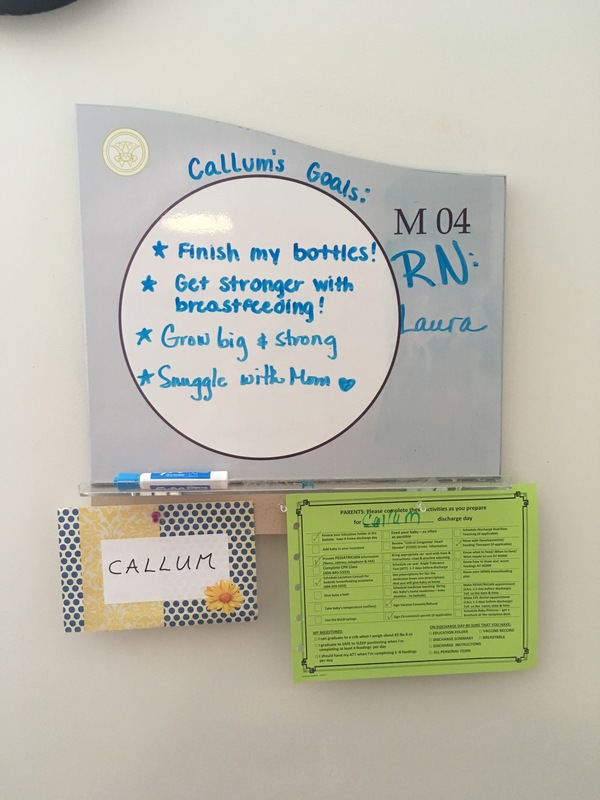 We have been working through the checklist we were given of things to complete before Callum can be discharged from the NICU (CPR class, follow up pediatric hematologist appointment scheduled, etc.) The doctors and nurses are hopeful that he might be able to come home by this weekend! 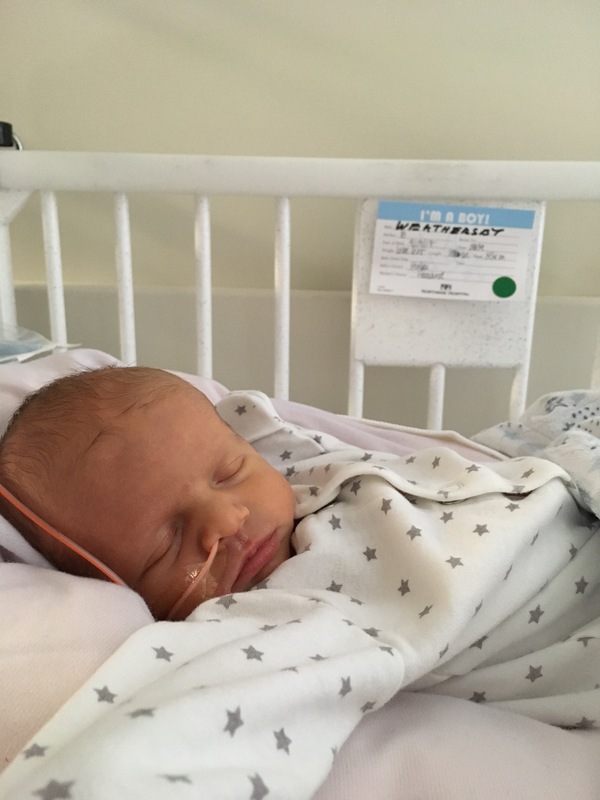 Callum will be doing his carseat test tomorrow to see if he can handle sitting in a carseat for an hour and a half without struggling to keep his oxygen up. We are so thankful that he is doing well and getting close to coming home! It will feel so good to have our family all together again. I miss Josh and the boys so much. 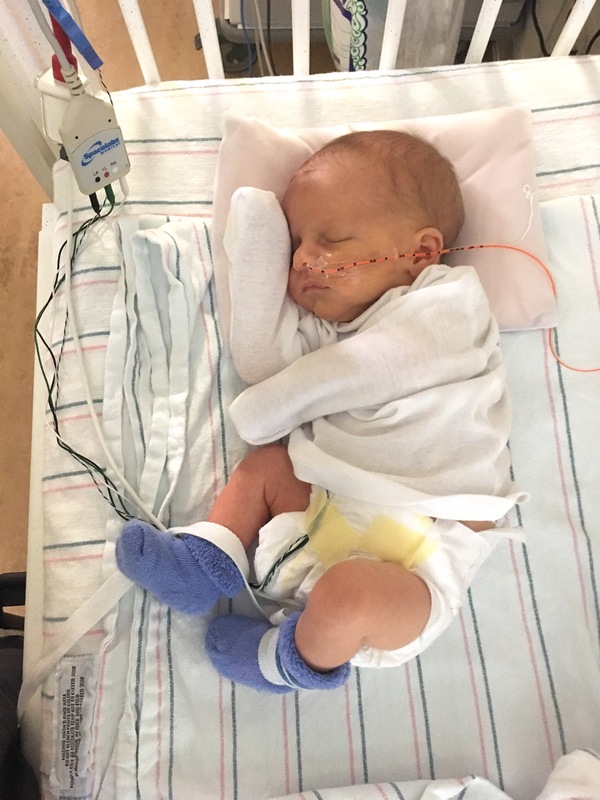 Nora still hasn’t been able to meet Callum since siblings age three and under are not allowed into the NICU. I cannot wait for her to meet him. She is going to be obsessed with her baby brother. Surprise! Our miracle baby is here. Callum Joseph Thomas was born exactly one week ago at 34 weeks and 4 days via emergency c-section. He weighed 6lbs 6oz and was 18.5 inches long. I went in for my last IUT and ended up having a baby instead! This week has been an absolute blur and I am just now able to sit down at a computer to quickly update everyone. 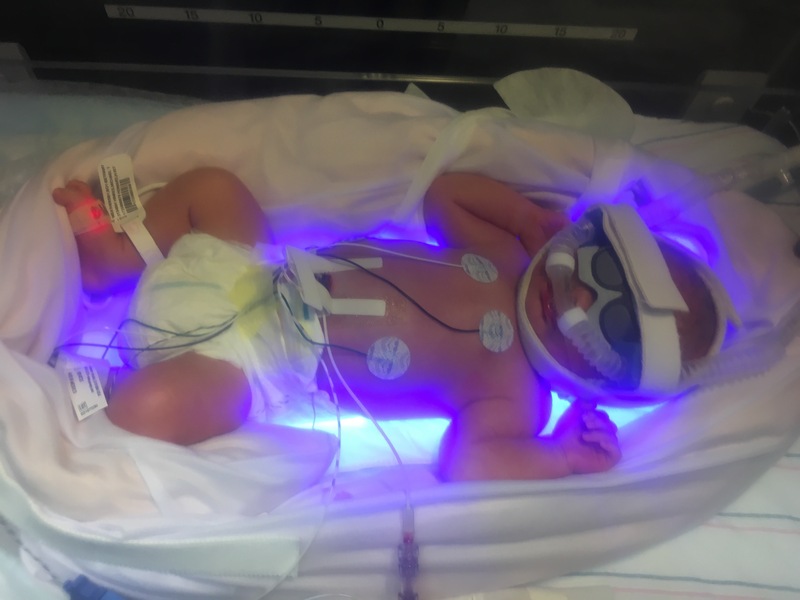 Baby Cal needed some breathing assistance at first but is now breathing on his own and is doing great in the NICU. I just moved into the Ronald McDonald House in Atlanta to be close to Callum until he’s discharged. I will write all about Callum’s birth story in my next blog post but for now, I’ll leave you with a few pictures of our sweet boy. Thank you all for praying for us! We are so thankful that our baby is here alive and well. Finally able to get on my feet 12 hours after the c-section and go see Callum in the NICU. 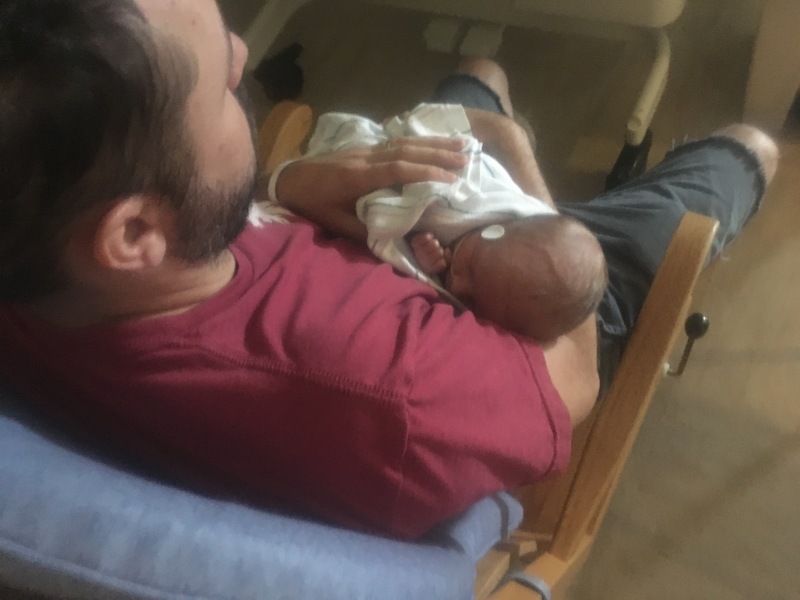 Most of the pictures are blurry because we had to keep our phones in a ziplock bag while in the NICU so the pictures were taken through the plastic. Right after he was moved up to the “growers and feeders” floor of the NICU for less critical babies. Dr Trevett came in with a really frustrated look on his face. He said after all that work to find the right blood, the courier had forgotten to drive it to the hospital so there was no blood for the baby. This meant that we would miss our 7:00 time slot in the operating room. The courier was doing his best to get the blood to the hospital so all we could do was wait. There is a 24 hour time limit for when you can safely use the donor blood after collecting it, so the clock was ticking. It was stressful to wait and not know if the blood would get there in time. The hours leading up to an IUT are difficult anyway because it is a somewhat dangerous procedure and I never know how it’s going to go. Since I had a bad experience with my very first IUT ever in Alabama, it is often hard to feel hopeful. I never felt Lucy move again after her IUT and the doctors would not scan her again for a week. Lots of fears go through my mind before every IUT. Is baby’s heart rate going to plummet when they stick the needle into the cord? Is he going to develop a blood clot? Will they have to do an emergency c-section in the middle of the procedure? Would they get him out in time? There are so many what-ifs so it was difficult to have added stress during that time. I got a sweet text from another mom who has been through several IUTS who I helped through her own kell pregnancy. She shared a verse with me and encouraged me. I knew many of you were praying for us and that gave me strength. We finally were told that the blood had arrived and we had an OR room booked for 12:00. The hours ticked by and finally a little after 12:00 Dr Trevett walked in looking super frustrated again (poor guy had a long day!) 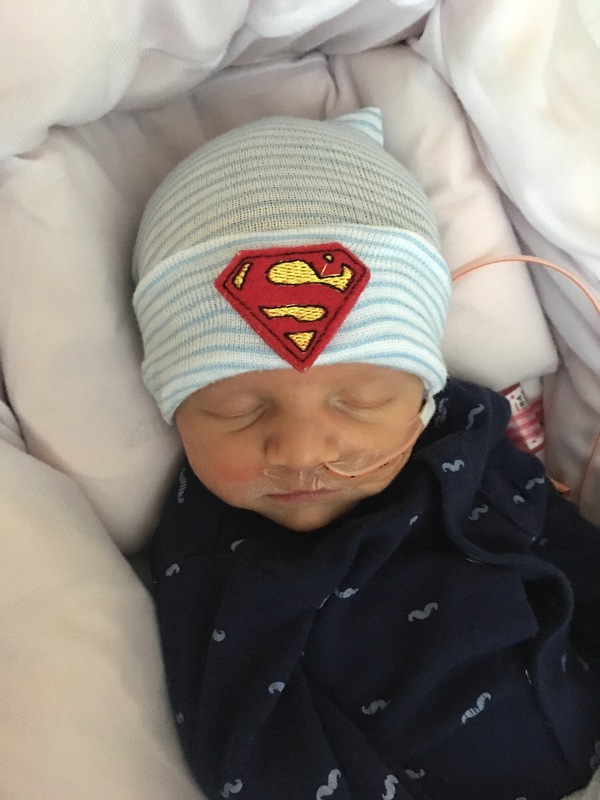 He said there had been two emergency crash c-sections and we now did not have an operating room available but the 24 hour window to use the donor blood was about to close. Our only safe option was to do the IUT in an ultrasound room, which would mean I couldn’t have the sedative/pain medication for the procedure since we weren’t in the OR. It also meant if baby went into distress they couldn’t deliver right there, they would have to move me up to a different floor to an operating room before getting the baby out. The other choice was to let the blood expire while we waited for an OR to open up, then the blood bank would have to search for more donor blood that matched my antibodies. It could take days to get the blood and in the meantime baby would be getting more and more anemic, which would obviously be very dangerous. I agreed with Dr Trevett that we just needed to go ahead with the procedure in the ultrasound room so baby could get the blood he needed. I made a conscious effort not to focus on the fear or the list of things that could go wrong and instead to find things I was thankful for. “Thank you Lord that I’m not in Houston trying to get an intrauterine blood transfusion in the middle of a disaster. Thank you for Dr Trevett and his patience, his kindness and his competence. 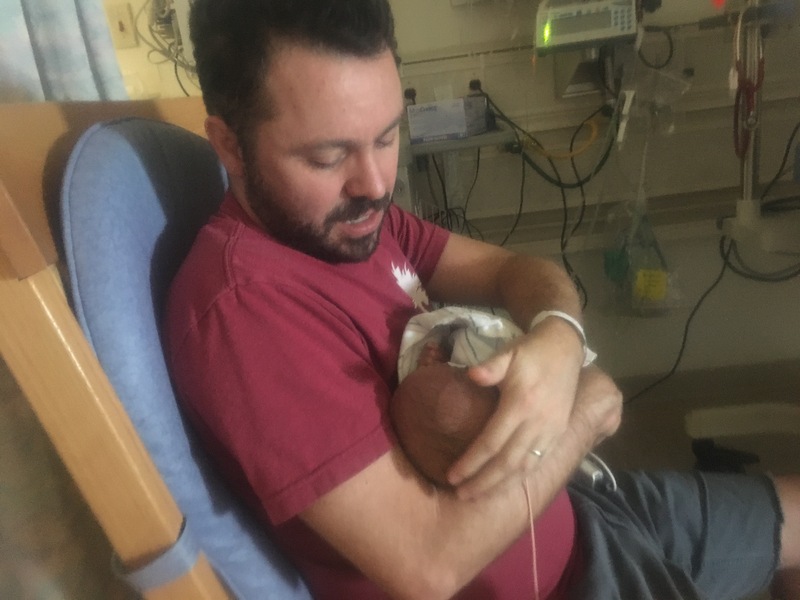 Thank you for getting my son all the way to 32 weeks alive. Thank you for another chance to trust you in a difficult situation.” These small offerings of thanks brought me great comfort. I also thought of the other verse I mentioned, “He Himself is our peace. He is my peace. He’s bigger than the situation and the fear and the risks. 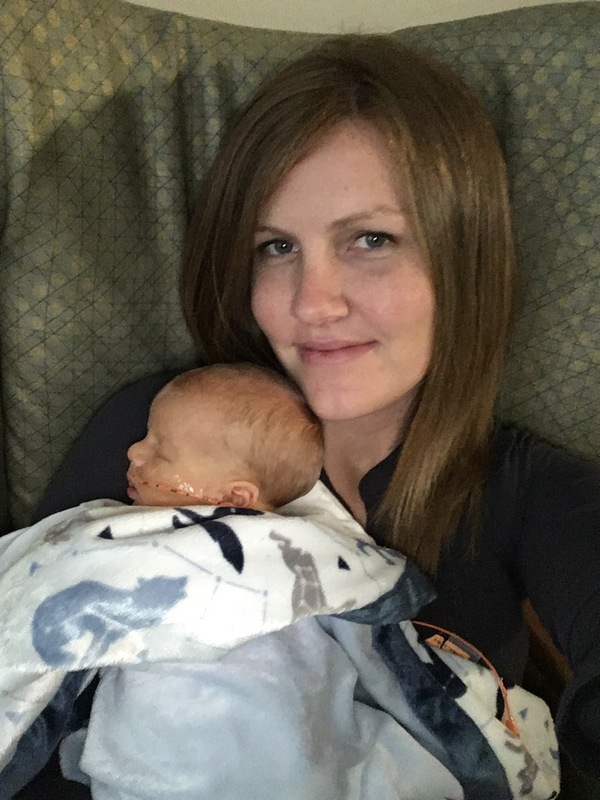 He is my peace and He’s right here with me.” These thoughts calmed me, although they didn’t calm the contractions that started coming more frequently as I was moved into the ultrasound room for the procedure. 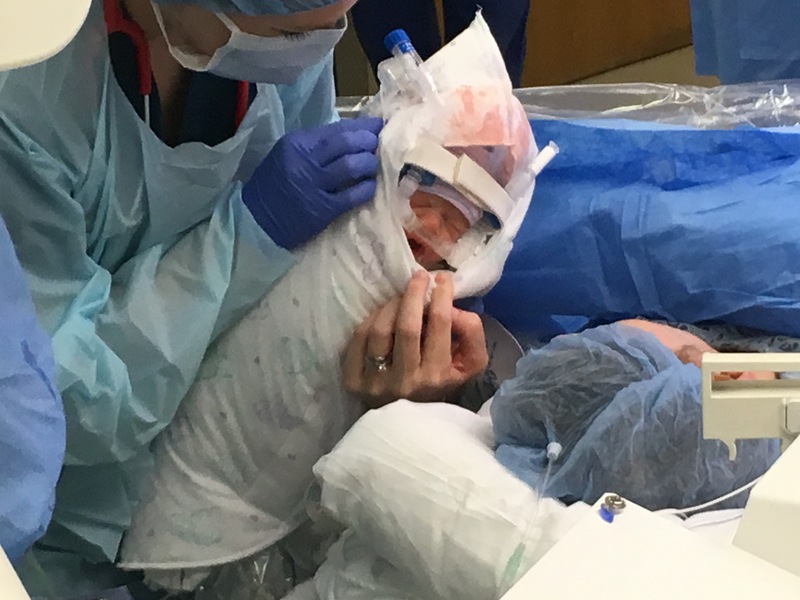 The contractions kept coming throughout the procedure, which was really annoying and painful (having a long needle going through your uterus during a contraction is not something you want to feel.) 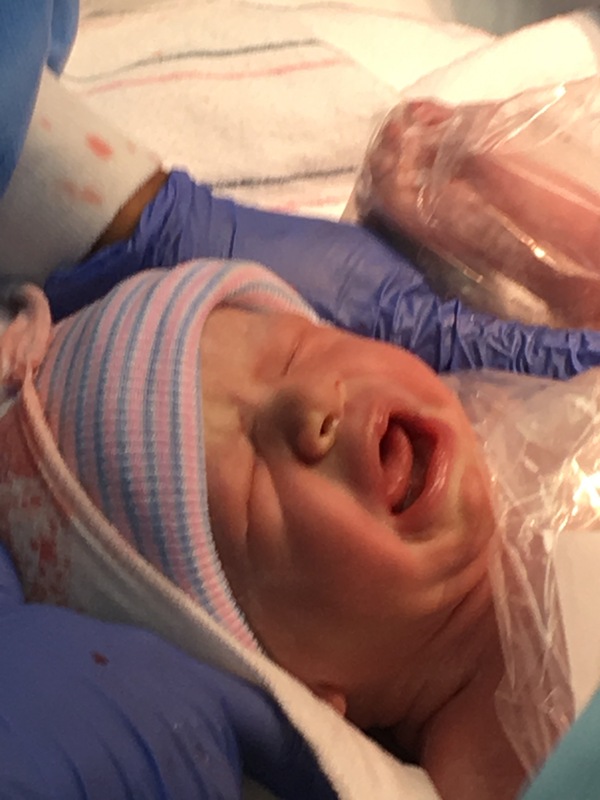 Thankfully Dr Trevett and Dr Gomez, who was assisting, were very careful and patient working to get the blood into baby’s umbilical vein through all the contractions. Baby’s starting hematocrit was 24 and ending hematocrit was about 43. Baby handled the procedure well. 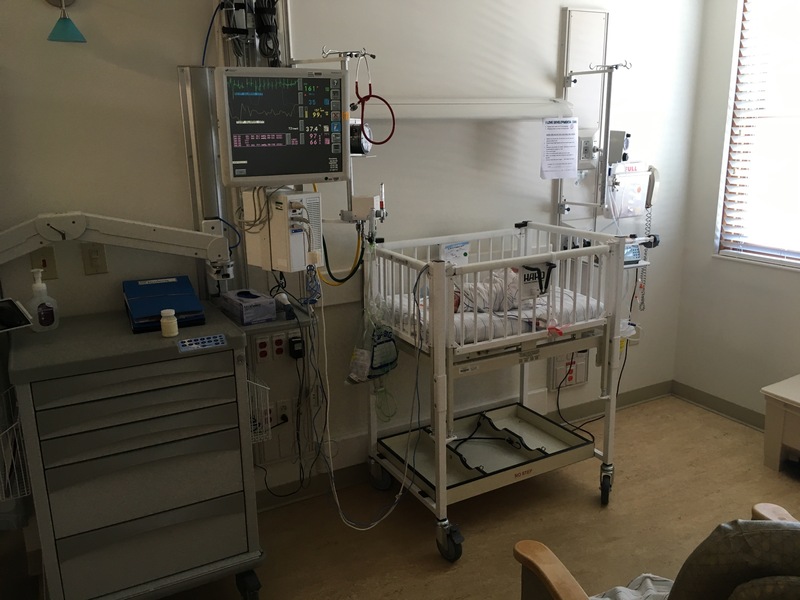 Dr Trevett decided that he didn’t want to risk going in a second time to do the IPT (put extra blood into baby’s belly) since I was having regular contractions. I was thankful again for his caution and unwillingness to take extra risks when it isn’t absolutely necessary. 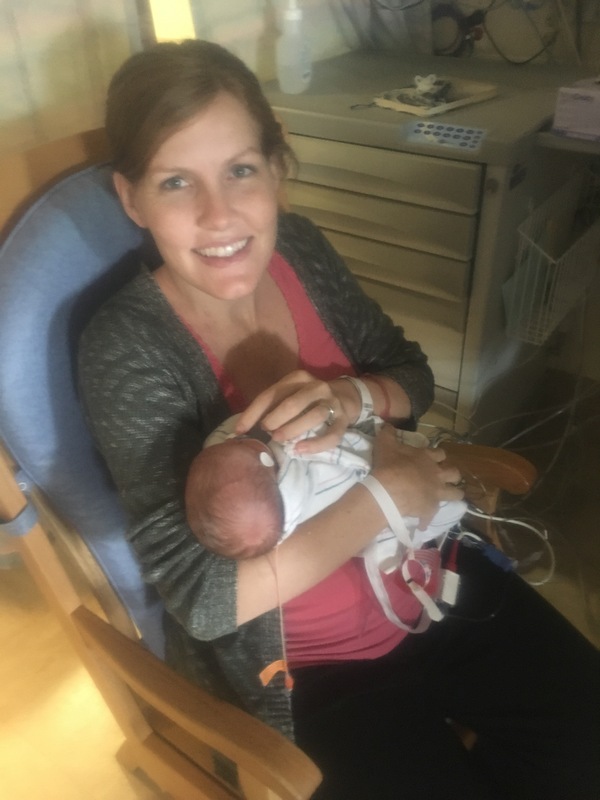 After the IUT, Dr Trevett wanted to monitor the baby and me for several hours and my contractions got closer together, although they weren’t changing my cervix at all or starting actual preterm labor. Dr Trevett had me stay overnight and they monitored baby’s heartbeat and my contractions all night long just to be safe. Since Josh had to work and couldn’t be there, my mom and Nora had come with me to Atlanta for the IUT. Nora brought so much joy to my hospital room while we passed the time on the monitor. 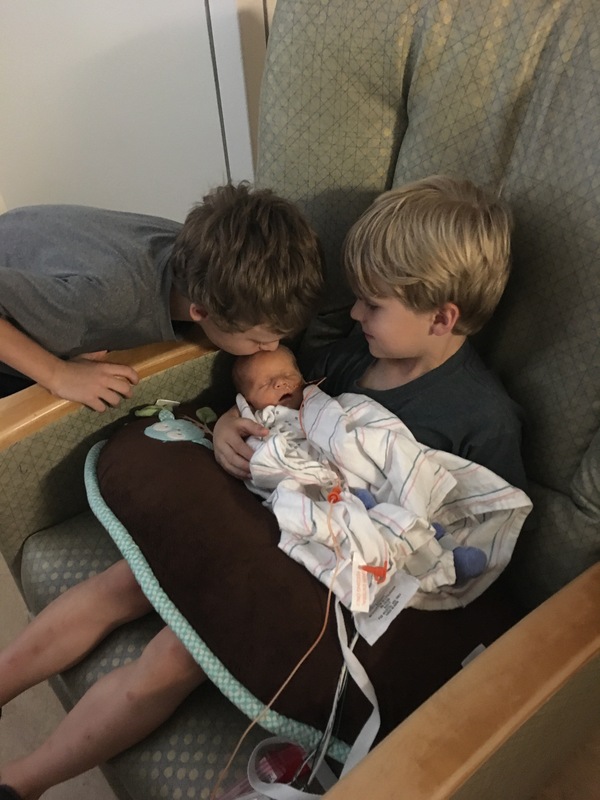 Love pats for baby brother. The baby looked good all night long and my contractions eventually subsided so we were discharged from the hospital in the morning. Since Dr Trevett didn’t do the IPT we can only wait about two weeks until the next IUT and we will probably have to deliver a week earlier than we hoped. The next (and last!) IUT will be Tuesday, September 12th when I am 34 weeks and 3 days. Then, depending on how that IUT goes we will deliver two or three weeks after that at 36/37 weeks. 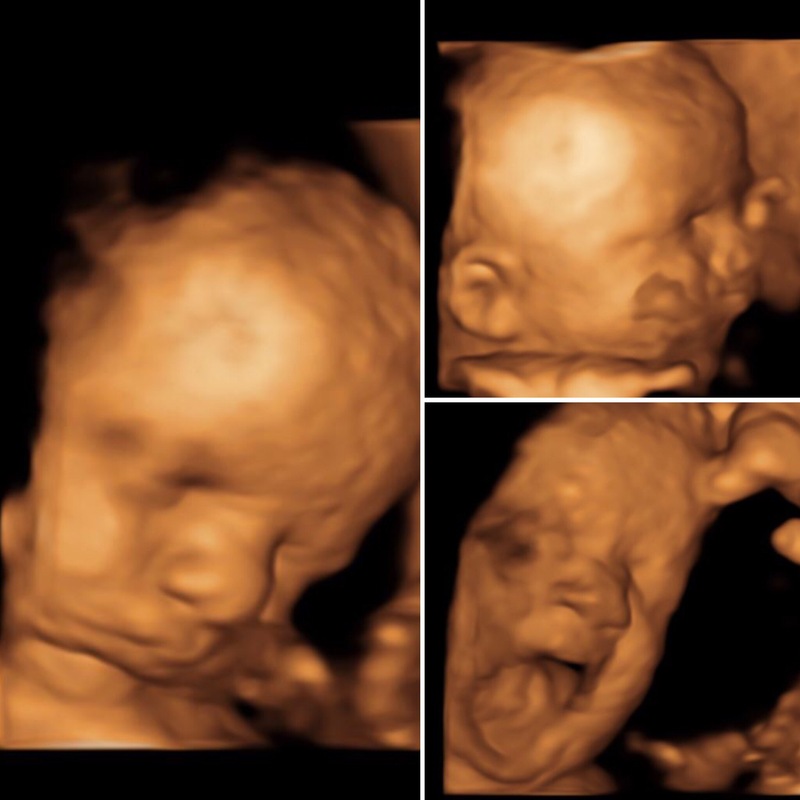 I cannot wait to meet my son! I had my appointment with the MFMs at UAB Hospital this past week and to be honest, I left feeling very discouraged and depressed. I’m feeling a bit better now and I’m working on the blog post to share how it went with everybody so hopefully I can post that soon. We appreciate all of your prayers and encouragement. They mean more than you know!